Police are investigating the death of a man found near the state Capitol. 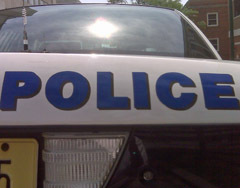 The body of the 38-year-old man was discovered early Tuesday morning on a park bench on the Capitol Square in Madison. The Dane County Coroner has identified the man as Dwayne Benjamin Warren, who is believed to be homeless. An autopsy is scheduled to determine the cause of death, although police have said it does not appear to be suspicious.